I have read so many raving reviews of Ridley Scott's latest addition to the origin stories of the popular Alien franchise, Alien: Covenant. I was excited to see the film because I really wasn't a huge fan of the previous instalment, Prometheus. I had high hopes that this film would be just as thrilling as the original movies but unfortunately, Alien: Covenant was a huge let down for me in more ways than one. Alien: Covenant introduces us to the crew of colonisation vessel The Covenant. After a catastrophic accident in space, killing the Captain and some of the other passengers, the crew are forced to wake up early and fix the damage caused. When a rogue transmission is received, the crew discover it has come from a planet that seems ideal for human habitation. Shocked that they completely missed this perfect planet, they decide to land on it and explore where the transmission originated from, however, they soon discover a sinister secret on the surface that means life or death for the crew. EDIT: I've just proof-read this and I'll apologise in advance for this review basically being a comparison between Prometheus and Covenant. I guess it's because they are chronological to each other, I feel it's easy to compare them! I enjoyed the first half of the film. From the squirmingly uncomfortable opening, featuring an unnerving conversation between android David and his creator Weyland, to the first alien-virus infected crew member, I was hooked. It was at the point of the 'birth' of the first alien where the plot just got a bit predictable and, well, borderline ridiculous. The film is set up to be great. Visually the film is outstanding and I was a bit gutted I didn't see it in 3D or 4DX (I am desperate to watch something in 4DX!). The cast is good too. Hats off to Michael Fassbender who, again, perfectly acts the role of synthetic androids as returning character David and new robot Walter. The sublimely malevolent way Fassbender acts as David makes a thrilling watch. I would HATE to be trapped in a lift with David, who is creepy as hell. Covenant crew member Daniels, played by Katherine Waterston, was a much more likeable character than Elizabeth Shaw from Prometheus. I felt myself naturally rooting for Daniels throughout the film. Daniels is much more comparable to Ripley, Sigourney Weaver's character from the original 1979 Alien film, which I liked. The tension between her and character Chris Oram (Billy Crudup), first mate turned Captain of Covenant, was interesting. I enjoyed the science versus faith aspect his character brought in, and the subsequent tensions and questionable decisions made based on it, although I think it could have been utilised more to increase the tension further. Unfortunately, I think the film went from promising to boring very quickly at the point when the Covenant crew landed on the too-good-to-be-true planet. 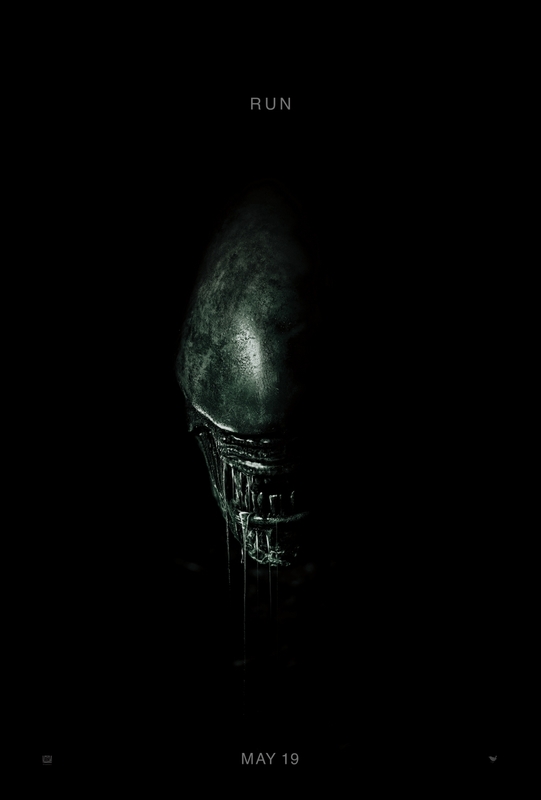 There are only so many plot twists a film within the Alien franchise can have, which I do appreciate, but that's no excuse for the arguably lazy screenplay and weird storyline you have to sit through in the second half of Alien Covenant. The story with David is weird. His character seemed to do a complete 180 from helpful android in Prometheus to psycho alien breeder in Alien Covenant. He's introduced like a camp villain, basically running around the planet in a hooded cape to 'rescue' the crew members. The plot twist of David murdering the original population of the planet and his 'friend' Dr Shaw was revealed way too early - I didn't even suspect him at the point where it was revealed and that ruined it for me because I wasn't shocked at the 'twist' at the end. You knew he was going to kill every member of the crew and find a way off the planet to spread the Alien genetics, and it was pretty easy to guess how he was going to do it. Alien: Covenant touches on too many thought-provoking points to have any meaningful impact. David's character is a prime example of this. To emphasise David's self-awareness, it's suggested that he is attracted to Walter. There is an unnerving scene where they are playing the flute together highlighting the perverted way David can think, and how this is unusual for android behaviour. Going back to my point about Oram and his decisions guided by faith, this scene with David being self-aware is over too quickly and feels rushed, however, it did add more tension and horror to the film overall. My second problem with Alien: Covenant is a bit of an odd one... the Aliens were too cute. Yep, I said too cute. Even when they were ripping crew members to shreds, I found the Neomorph alien un-intimidating because it looked like a tiny monkey. Maybe I'm being pedantic but I wasn't scared at any point throughout the film and I get scared by pretty much anything (I have a phobia of butterflies for crying out loud) although the film was jumpy at times. I found David and Walter playing the flute much scarier than the alien the entire film franchise is based off. Ending this review on a high note, I will say Alien: Covenant was much better than Prometheus. It had a much more sinister tone to it that felt reminiscent of the originals. Alien: Covenant almost makes Prometheus a completely redundant movie in a sense that it acts as a better, more exciting prequel than Prometheus did. The cast is strong and visually the film is beautiful to watch. I'm not convinced by the prequels so far, but I do have high hopes for any more Alien films that are released (and there are going to be a couple more apparently) so I won't write off the latest additions to the franchise just yet! That was a long read... well done if you made it here! Have you seen Alien: Covenant? What are your thoughts about it? Looks like the film got too boring too quickly. Once you lose interest, the movie can be a pain to sit through. I understand what you mean. Thanks for posting the review. haha nice , what about alien. thank you.